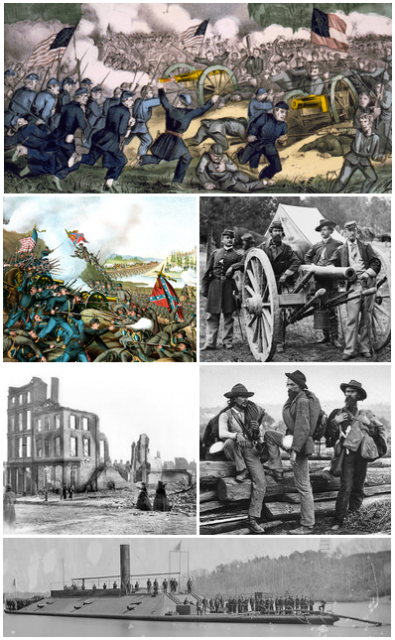 The American Civil War was the bloodiest conflict in US history. Although no one knows precisely how many were killed and wounded during this great tragedy, most researchers agree that the number of casualties was way beyond anybody’s expectations. It is estimated that over 620,000 Americans lost their lives during this conflict which means that no other American conflict was nearly as devastating as the Civil War. 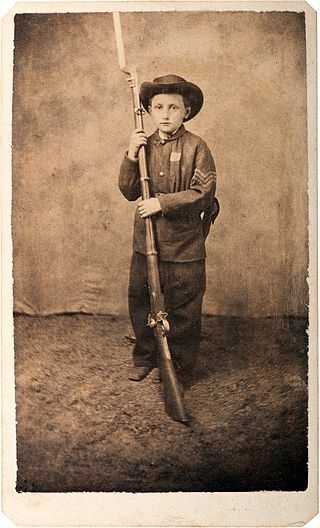 The American Civil War affected the lives of everyone in the United States, including the lives of many children. 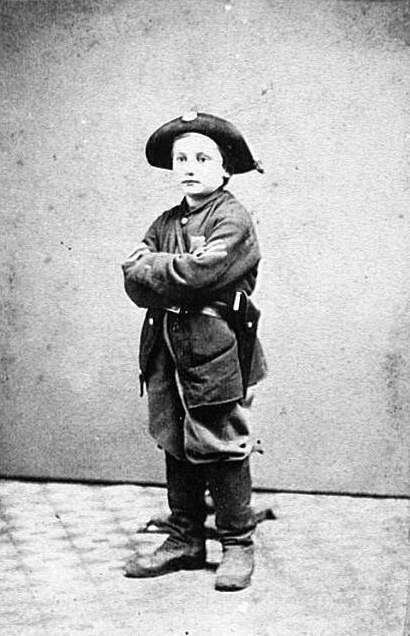 Thousands of teenagers joined the army and fought in the Civil War even though many of them were under 18-years-old and some of them were just over 10-years-old. Among these brave soldiers was a 10-year-old boy from Newark, Ohio, named John Clem. 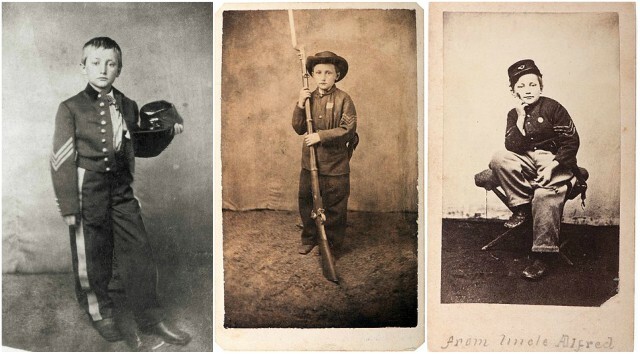 Little Johnny was only 9-years-old when he ran away from home to join the Union Army during the Civil War. At first, he was turned down and told that the army “does not enlist infants,” but Johnny couldn’t accept no for an answer. He accompanied the 22nd Michigan Volunteer Infantry until 1862 when he was adopted as a mascot and drummer. 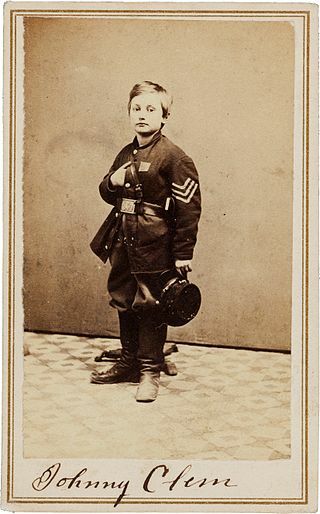 Everyone loved the little boy, and officers even chipped in to pay his monthly salary of $13 until he was allowed to enlist in 1863 officially. 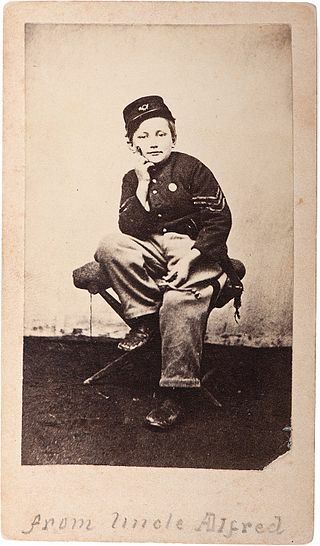 The Civil War Union Signed Carte de Visite of Drummer Boy Johnny Clem. Carte providing a full-length portrait of Johnny Clem dressed in uniform, seated on a campstool, verso with Hall, Lawrence (MA) imprint and printed biographical sketch. However, it was the Battle of Chickamauga that made the little drummer boy a national celebrity. This time Clem carried a musket instead of a drum. At one point, he was spotted alone by a Confederate colonel who asked him to surrender, but apparently, little Johnny had other plans. He turned around, raised his rifle, shot and wounded the Colonel. After this event, he became known as the “Drummer Boy of Chickamauga” and was promoted to sergeant, thus becoming the youngest non-commissioned officer ever in the U.S. Army. This was not the end of Clem’s army career, and he went on to fight in several other battles and was wounded twice in the battle of Atlanta. 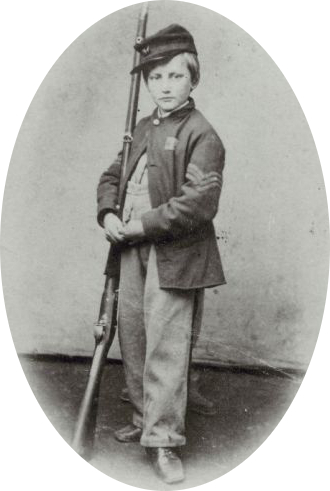 He was discharged in 1864, at the age of 13. 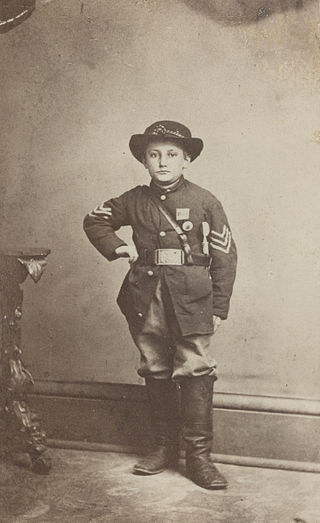 After graduating from high school in 1870, Clem tried to enter the United States Military Academy but failed the entrance exam. He was then appointed second lieutenant in the Twenty-Fourth United States Infantry by President Ulysses S. Grant and served in the army for the next 45 years. The “Drummer Boy of Chickamauga” retired in 1915 with the rank of major general. He died on May 13, 1937, in San Antonio and was buried in Arlington National Cemetery.